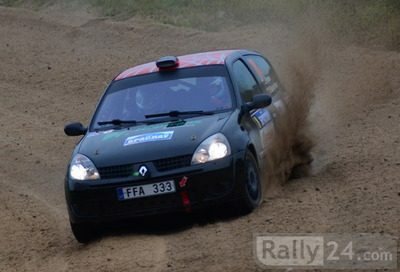 We sell rally car RENAULT CLIO RS, compares to group N specifications. It is 2012 Lithuanian championship winning car and 2013 Belarus championship winning car. Dog gearbox SADEV with differential-lock (production year 2013). Engine after full re-building (2013 september). Homologated: seats SPARCO ADV, belts SABELT, extinguishing system OMP. The car is in excellent condition at all. We sell another Renault Clio RS in set. There is a reconnaissance car. The car is in excellent condition. Kilometrage is about 120000 km. In use like the reconnaissance car is about 1,5 year. It also has rally shock absorbers REIGER. Plus we have a lot of spare parts to these cars. Both cars is in Lithuania.